Susan Roth was a member of her family’s Yiddish theatrical company, The Four Bursteins, which included her parents, Pesach and Lillian (Lux) Burstein, and her twin brother, Michael. Traveling the world since she was seven, Susan has starred on stage, television, films, and on various radio programs and recordings. “The Komediants,” a documentary of the Burstein family, won the Israeli equivalent of an Oscar Award for its portrayal of the famous theatrical family and their impact on the Jewish entertainment world. Susan Roth is a descendant of King David through Rashi, the Lurie family, the Baal Shem Tov and his great grandson Rabbi Nachman of Breslov, the famous Kabbalist and scholar. She is also a descendant of the first Lubavitcher Rebbe, Shneur V. Zalman of Liadi, through his daughter Freida. Living in Israel as a child, Susan was indoctrinated into Kabbalah. At 17 years old, she was in Tsfat (Safed) when she became immersed into the spiritual realm of Kabbalah. At 19, she left the entertainment world to raise a family with her husband Michael Roth, z”l. While doing so, she embarked on an unusual academic course of study. She began with undergraduate studies in philosophy and comparative religion at Kean College in New Jersey and then received her Bachelor of Arts degree in the Humanities at Thomas Edison College of New Jersey (“The School Without Walls”). She continued on with graduate studies in International Affairs as a Woodrow Wilson Scholar at Princeton University and went on to receive her Master’s degree in Liberal Arts from New York University, where she wrote her thesis on perennial philosophy through Kabbalah. Susan Roth’s community work is extensive. She was Vice President of the Women’s Division of the Jewish Federation of Central New Jersey and the YM-YWHA; advisor, coordinator, speechwriter and public relations manager for the Central New Jersey Holocaust Committee, the Central New Jersey YM-YWHA, and the Central New Jersey Jewish Federation. She also broke ground as the first woman Vice President of an Orthodox Synagogue in Springfield, New Jersey. In 1991, Susan authored Moses in the Twentieth Century, the first Kabbalistic treatise written by a woman without having access to primary source material. It is a book on perennial philosophy through Kabbalah that integrates the wisdom of Kabbalah, the totality of Jewish religious tradition and modern Western scholarship. Susan Roth also founded two publishing companies, SJR Associates and Lux Light Associates as well as “KinderKlassics,” a distributor and book club specializing in literature and entertainment for Jewish youth. KinderKlassics was established in memory of her late mother-in-law, Rachel Leah Roth, z”l, and the six million Jews who perished in the Holocaust at the hands of the Nazis. In 1998, Susan founded the Eshet Chayil Foundation (www.eshetchayil.org). The Davidic Dynasty is a project of the Eshet Chayil Foundation. This organization is dedicated to strengthening the unity of the Jewish people and the State of Israel through numerous projects highlighted by keeping Kever Rachel (Rachel’s Tomb) open 24 hours a day with free armored buses to the Kever, weekly Melave Malkas and a Midnight Kollel. In addition, the Eshet Chayil Foundation erected a six-lamped Yahrtzeit Menorah on the wall between the men and women’s section next to the Kever in memory of the Holocaust victims. It has also taken on the responsibility of protecting the covers of Yosef, Menashe and Ephraim from the Kever of Yosef HaTzaddik and has them displayed at Kever Rachel until the Kever of Yosef HaTzaddik is properly reconstructed and protected. The Foundation is proud to have the merit of underwriting the kollel at the Ma’arat Hamachpelah in Hevron, where our forefathers and foremothers, Avraham, Yitzchak and Yaakov-Sarah Rivka and Leah are buried. Hevron is also the city where David Hamelech established his kingdom for the first seven years of his reign, before moving his capital to Yerushalayim (Jerusalem). The Eshet Chayil Foundation underwrites an impressive number of projects and organizations in Israel, the United States and around the world. For a partial listing, please visit www.eshetchayil.org. Susan Roth is a member of the World Future Society, the Noetic Society and the International Peace Center at King David’s tomb on Mount Zion, Jerusalem. She also sits on President George W. Bush’s advisory council for business leaders around the United States. 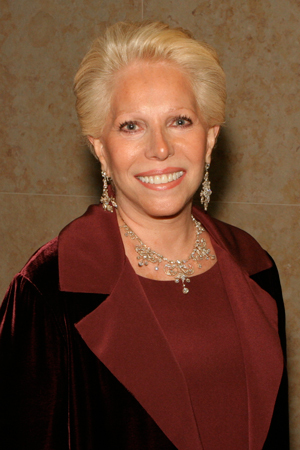 Susan Roth has received many awards including the first Eshet Chayil Award from The American Friends of Bet-El Yeshiva Center, the Decrech Chaya Rachel Award and the first Actualist Award from Rachel’s Children Reclamation Foundation, for having brought the ideals of Torah into reality. Susan has two children, a daughter and son, and is the grandmother of four precious grandchildren.